100% Dedicated! Gluten Free Facility! Gluten-free bread with a kick! 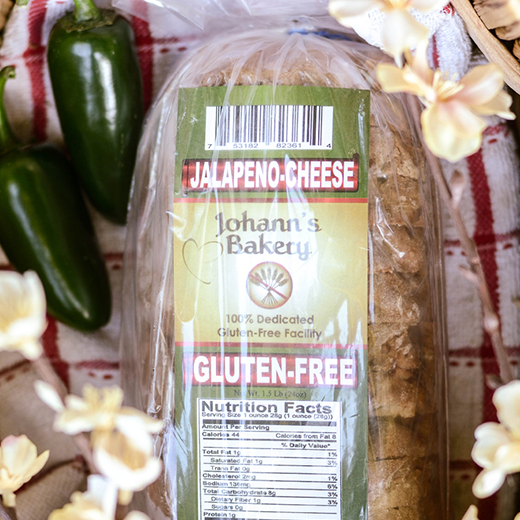 Enjoy this tasty bread enhanced with spicy jalapeño and tangy cheddar cheese.